Did you know that a drought watch is in effect for the entire state? Your water use can have an impact, especially outdoors. Experts estimate that 50 percent of the water we use outdoors goes to waste from evaporation, wind, or runoff due to overwatering. Timing is important to avoid water waste. 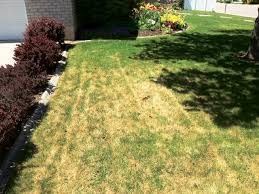 Don’t water outdoors during the heat of the day; instead, water in the early morning or late evening. Visit EPA’s WaterSense website and DEC’s Saving Water Makes Good Sense webpage for more tips on saving water. 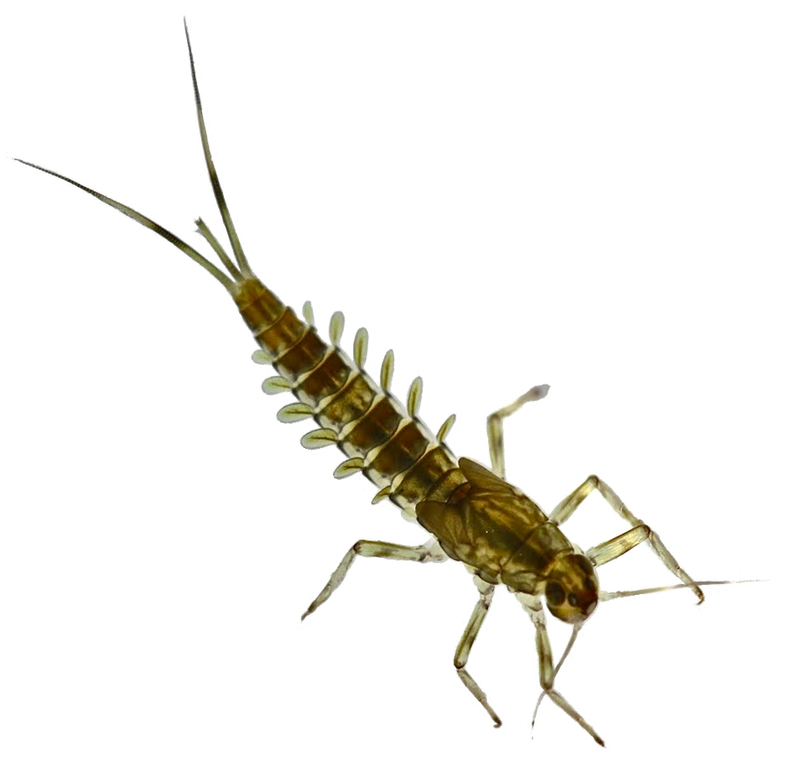 DEC’s Biomonitoring webpage has been updated with information about the Stream Biomonitoring Unit’s 2016 sampling. A new interactive Google Map has been added with detailed information on all 2016 sampling sites. 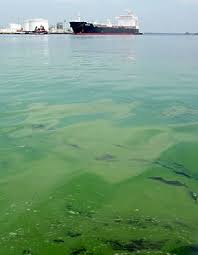 New information about lakes with harmful algal blooms has been posted today, July 29, on the DEC Harmful Algal Blooms Notifications webpage. This week, 13 waterbodies in several locations in the state were added to the notification list. There are currently 38 waterbodies with blooms on the notification list. This spring, the State Department of Environmental Conservation’s (DEC) successful Trees for Tribs program expanded its reach to the Lower Genesee River watershed and is currently recruiting sites for fall plantings. The program provides landowners, municipalities, and conservation organizations with free native plants and technical assistance with the goal of planting young trees and shrubs along stream corridors, also known as riparian areas, in order to improve wildlife habitat, water quality and storm resiliency. Since the watershed’s spring kick-off, over 10,000 trees and shrubs have been planted along waterways in four priority areas within the Lower Genesee including: upper Black Creek above Byron, Oatka Creek, Honeoye Creek, and along the Genesee River between Mount Morris Dam and Scottsville. Program partners are looking forward to continuing this successful program in the fall planting season and are looking for interested landowners within these target watersheds to participate. Landowners can benefit from the plantings by enjoying improved wildlife viewing and recreational fishing opportunities, and in some instances, improved floodwater retention. With funding from the NYS Environmental Protection Fund and the National Fish & Wildlife Foundation’s Sustain our Great Lakes program, the Genesee Trees for Tributaries program is a partnership between DEC, Department of Agriculture & Markets and the Wyoming County Soil & Water Conservation District (SWCD), who is leading local coordination of the program. The native trees and shrubs planted were grown at the DEC’s State Tree Nursery in Saratoga Springs, Saratoga County. Efforts to reforest the Genesee River watershed are important as areas downstream, including Rochester and coastal Lake Ontario, have experienced significant water quality problems related to upstream sediment and nutrient runoff. High rates of streambank erosion and nutrient runoff have impacted bank stability, aquatic health and downstream water quality. Trees for Tribs is one of several efforts underway to restore the function and health of the watershed by increasing the amount of forested riparian corridors that ‘buffer’ the many land-based activities that can impact water quality and fish and wildlife habitat. In addition, native, pollinator attracting species such as red maple and buttonbush are being used to the extent practicable to help offset the decline of bee, butterfly and other pollinator populations in the region. Wyoming County SWCD is currently recruiting planting sites for the fall season. Sites should be located in one of the following priority areas: Oatka Creek sub-watershed, the Upper Black Creek sub-watershed (upstream of Byron), the Honeoye Creek sub-watershed, and the main stem of the Genesee River from Mt. Morris to Scottsville. Private landowners, municipalities, businesses and community organizations are invited to submit applications to receive free native trees and shrubs, tree tubes, signage and technical assistance. To learn more, and to submit an application (leaves DEC’s website) visit Wyoming County SWCD’s webpage. Contact Megan Boberg, District Technician, Wyoming County SWCD at (585) 786-3675 ext. 4 for more information. To read more about Trees for Tribs, visit the DEC website. The Genesee Trees for Tribs Program is a project of the State Environmental Protection Fund’s Ocean-Great Lakes Ecosystem Conservation Program and supports the goals of the Interim NYS Great Lakes Action Agenda, a plan for applying ecosystem-based management to complex environmental problems in order to conserve, protect and enhance our irreplaceable Great Lakes natural resources. On Friday, July 15, 2016, Basil Seggos, Commissioner of NYS Department of Environment of Conservation, issued a drought watch for the entire State of New York. This is the first of four levels of drought conditions. The other three are warning, emergency, and disaster. I have been watching the readings of the USGS Gaging Station at Garbutt. For the past two weeks the discharge at the gaging station has been considerably below the mean daily discharge for those dates. In fact the actual instantaneous discharge has been at, or below the minimum instantaneous discharge ever recorded for these days. (For this time of year, Oatka Creek has less stream flow now, than it has had since recording started in 1945.) Those of you, like me, who are not on public water and have your own well, probably never use your well to water your lawn, but maybe for the flower gardens and vegetable gardens. Since we put in our two rain barrels 3 or 4 years ago, we have never had to water these gardens from our well. However, this year the rain barrels are almost empty. More importantly our farmers are pretty close to the edge on whether their crops will provide sufficient yields. Hopefully the rain will come soon. The OCWC will hold our regular monthly meeting tonight from 6:30 – 8:15 PM in LeRoy’s Woodward Memorial Library. Meetings are open to the public. Come over and see what we are about! New York has more than 900 million ash trees, representing about seven percent of all trees in the state; all are at risk from EAB. Urban and suburban communities face particular risks, as ash is a common street and park tree. Green ash, in particular, has been widely planted as an ornamental tree in yards. Locating infested sites early can significantly delay the loss of ash trees and decrease the subsequent costs for their removal and replacement. DEC urges residents and municipalities to inventory their ash trees and inspect them for signs of infestation. Homeowners and municipalities can contact the nearest DEC Forestry Office for technical assistance and management recommendations to prepare for the threat of EAB. Management options include treating healthy trees with insecticide, removing stressed trees that may attract the EAB and replanting with non-host trees, among other techniques. Forest landowners can request a DEC Forester visit their woodlot and develop a free Forest Stewardship Plan. This plan would address the landowner’s objectives and discuss how the arrival (or proximity) of EAB could impact the owner’s forest resources. Forest owners can schedule a site visit by contacting their local DEC Forestry office. To learn more about EAB, as well as efforts to reduce its negative impact and save trees, visit DEC’s website . The EAB is a small but destructive beetle that infests and kills North American ash tree species, including green, white and black ash. 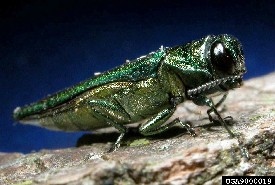 Damage from EAB is caused by the larvae, which feed just below the ash tree’s bark. The tunnels they create disrupt water and nutrient transport, causing branches, and eventually the entire tree, to die. Adult beetles leave distinctive D-shaped exit holes in the outer bark of the branches and the trunk. Other signs of infestation include tree canopy dieback, splits in the bark, and extensive sprouting from the roots and trunk. Infested trees may also exhibit woodpecker damage from larvae extraction. Human assisted movement is the primary means by which EAB is spread and moved around the state, particularly on firewood and infested ash logs. DEC regulations prohibit the movement of firewood beyond 50 miles from its source. Quarantine regulations also prohibit the movement of ash wood out of “Restrictive Zones” in order to delay the spread of EAB to nearby uninfested areas. Updated quarantine maps are available on DEC’s website . When infestations are found outside of the Restrictive Zones, DEC recommends that infested wood be kept local or destroyed, to avoid spreading the beetle to new areas. To report signs of EAB, or ash trees showing symptoms of EAB attack, call DEC’s Forest Health Information Line at 1-866-640-0652 or submit an EAB report available on DEC’s website . It’s that time of year! If you are interested in sampling in the Oatka Watershed, and want some advice on locations, contact Pete. I can often determine a site cannot be sampled using satellite images. This saves you time and frustration wasted on an inappropriate location. 3. After you sample, you have until November 1st to submit your sample vials and data sheets. The simplest way to do so is to mail them to my office according to the USPS instructions given at the bottom of this notice. 4. Finally, please photograph/video your sampling events and share these with me! I have many uses for these materials. For example, I’ll be posting to the NYSDEC Facebook page to highlight the wonderful work you do. Thank you for participating in the 2016 WAVE season!!! Don’t hesitate to contact me if you have any questions or concerns. Separate packaging requirements apply depending on the flashpoint of the flammable liquid. • A metal primary receptacle must not exceed 1 quart. • A nonmetal primary receptacle must not exceed 1 pint. • The primary receptacle must have a screw cap (with minimum of one–and–one–half turns), soldering clips, or other means of secure closure (friction tops are not acceptable). • Only one primary receptacle is permitted per mailpiece. • Enough cushioning material must surround the primary receptacle to prevent breakage and absorb any potential leakage. • The cushioning and primary receptacle must be packed in securely sealed secondary packaging. • Strong outer packaging that is capable of firmly and securely holding the primary receptacle, cushioning material, and secondary packaging is required. • Optionally, each mailpiece may bear an approved DOT limited quantity square-on-point marking, designating surface transportation, prepared under 3b, instead of an ORM-D marking. • A complete return address and delivery address must be used.